Before the Second World War being a British Boxing Champion provided no guarantee of great wealth. Many champions boxed professionally whilst holding down a full time job. Many of these jobs were arduous. A fine example of this is Charlie Hardcastle of Barnsley. His trainer, Jack Goodwin, wrote that after winning the British Featherweight Title on a Monday evening in 1917 “Hardcastle went back to Barnsley and on the Wednesday the new featherweight champion was at work in the pit once more”. There was, of course, a war on and Charlie was in a reserved occupation which meant that, although he was spared from the trenches, he had to contribute to the war effort nonetheless. Hardcastle was 23 when he won the title. Brought up in South Yorkshire he came up the hard way, earning a formidable reputation as a hard hitting Flyweight and Bantamweight in rings in and around Barnsley and Sheffield. 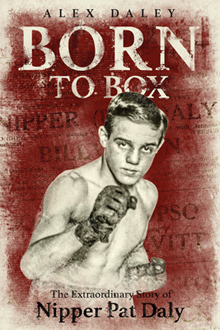 He fought for the Yorkshire Flyweight Title in a 20 rounder when aged only seventeen and within two years he had become the Pitmen’s Champion at Featherweight after knocking out the tough Billy Green of Chesterfield in eleven rounds. In those days the coalfields of Great Britain, and there were many, had a special affinity with boxing. There were a huge number of fighting miners and most pits had their unofficial ‘champion’. Charlie went way beyond this level and by 1915 he was topping the bill at the National Sporting Club in Covent Garden, at that time the most important venue in which a British boxer could perform. Charlie was hugely popular amongst the clientele at the N.S.C., which was a private club where the members were expected to wear evening dress and to remain silent whilst the bouts were in progress. In June 1916 Charlie topped the bill at the club for the fifth time against another rising star, Louis Hood of Smethwick. The two men were level on points going into the fourteenth round but then Hardcastle found an opening and knocked Hood out with his famed right hand. Unfortunately Hood never recovered from the knockout blow and he died early the next morning without regaining consciousness. This tragedy had a profound effect upon poor Charlie and he was never the same fighter afterwards. He became more cautious and he often held back with his devastating punching power and let opponents off the hook when he had them beaten. Despite this he won the British title a year later in 1917 against Alf Wye of Hoxton, after little more than two minutes fighting. He lost the title less than six months later to his first challenger, Tancy Lee. Both title bouts ended by knockout and Charlie soon faded into obscurity. When Charlie died in 1960 there was no obituary published in Boxing News and his death appears to have gone unnoticed by even his local newspapers. There is no mention on the headstone about his sporting success and it would appear that when Charlie died he was a forgotten hero. Charlie is typical of the fighters that we wish to commemorate on this website. A Pitmen’s Champion, a British Champion, a forgotten Champion, a man who never got over the death of his opponent, a man who died in obscurity and a man who deserves to be remembered. I will leave it to Jack Goodwin, who trained Charlie for all of his important bouts, to bring him back to life. “Charlie was one of the nicest boys I ever looked after. He had a very happy disposition. Unlike many boxers, he really enjoyed training, which, as he was a teetotaller and a non-smoker, came as no hardship to him. He was without the slightest sign of temperament. He sang around the place all day long, and had too good an opinion of the value of his right arm to worry before a contest. He had the biggest punch for a featherweight I have ever seen”. 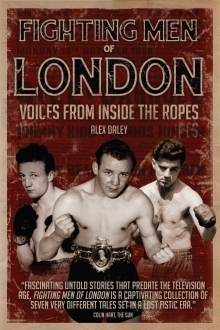 Over the course of the next year the complete records of every British Champion between 1909 and 1939 will appear on www.boxinghistory.org.uk and we will start with the Featherweights. You can therefore expect to see Charlie’s record, 75 bouts between 1911 and 1923, published shortly. So great to see this, a very moving story. Thank you. Charlie Hardcastle was my Great Uncle and a bit of a legend within our family. Very nice to read, my great grandad Charlie Hardcastle.